On September 8, 2000, Nelson Mandela stood before a cheering crowd of young Australians in Melbourne’s Colonial Stadium to address the World Reconciliation Day tribute concert. World Reconciliation Day had begun as a social studies project of ninth graders at Melbourne’s Trinity Grammar School. Here was grassroots activism in practice, a human rights initiative spearheaded by local teenagers who had studied Mandela’s life and decided to enlist him in their effort to promote reconciliation between Australia’s Indigenous and non-Indigenous peoples. They keep you wrapped up in civil rights. And you spend so much time barking up the civil-rights tree, you don’t even know there’s a human-rights tree on the same floor. 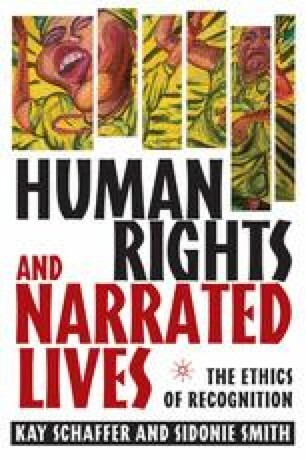 Ultimately, when a society fails to care what happens to some of its members, believes that certain human beings have forfeited their human rights because of their actions, or fails to hold officials to account for their misdeeds, then it creates the conditions in which human rights violations can thrive.